PE in school provides a strong context in which to live out our mission statement and achieve our school aims. PE enables every child to learn, grow and understand how to continue achieving. It helps children develop high self-esteem, confidence and a strong sense of identity. It fosters a growth mindset, equips children to meet challenge and builds resilience. It develops physical literacy and establishes a foundation for future healthy lifestyle choices. It improves academic performance and mental well-being. All children and young people should experience regular high quality Physical Education (PE) and Games. At St Francis of Assisi our aim is to provide a broad and balanced PE and games curriculum with activities designed to be enjoyable, vigorous, purposeful and regular. Through providing positive experiences, we hope to instil a lifelong interest in participating in physical activity. In the Early Years, physical activity and a love of the outdoors is actively encouraged through having free-flow outdoor play and learning activities every day. In addition, to target specific skills development, they have a multi-skills lesson each week, taken by a qualified coach who is part of the school teaching team. As the children move through the school, developing their physical literacy, the range of activities widens and may include multi-skills, athletics, dance, games, gymnastics, swimming and outdoor education. A high quality programme is designed to develop the skills, abilities and interests of all pupils – some may prefer individual activities to competitive team games, while others enjoy aesthetic movement. At some point over the year, they will all experience some aspect of the PE/Games programme which encourages their personal development. The pupils are given many opportunities to develop their knowledge, understanding, skills and a positive attitude towards sport and physical activity. While everyone loves to win and success is rightly celebrated, we know that taking part is just as important. This means that all individual talents and sporting aptitudes will be encouraged, together with those social and personal qualities inherent in both team and individual activities. These include the acceptance of responsibility, loyalty and cooperation, determination, tolerance and the enjoyment of success as well as simply taking part. We will always encourage children to strive for their personal best. 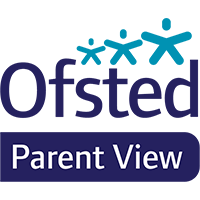 Parents and carers play a pivotal role in their child’s development by taking an interest, offering encouragement, ensuring that PE kit is in school. This year at St Francis we will be introducing a new child-centred scheme of work called RealPE, which focuses on the development of emotional and thinking skills to achieve in PE, sport and life. "I like this school because I like doing sports. - Joshua"